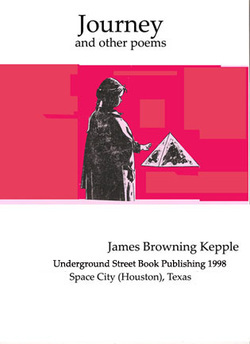 Originally published with Underground Street Book Publishing in 1998. 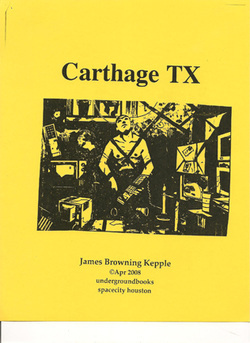 This being our second book of poetry published (we destroyed the first in 1997 <or archived it really well for an october surprise> is recognized as James Browning Kepple's first volume of poetry. At a stout 42 pages it sets out a road left worn from time to time, come dine, sitback and jello. Step into cutups of Europe and American battlefields through the illustrations of a Romanian Hustler. 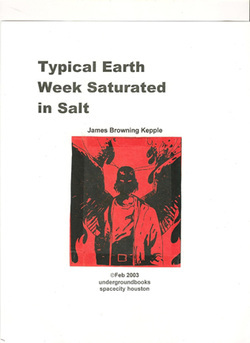 Typical Earth Week Saturated in Salt. 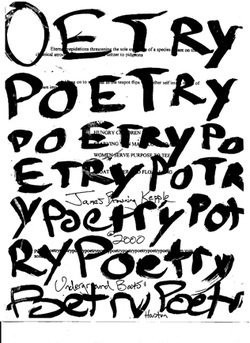 This is the post couplet bounce.